The 2017 Vodacom Durban July launches an exciting new event property for sophisticated Jazz lovers with The Glenlivet JazzTown in partnership with Mzansi Magic Channel 161. As the favorite lifestyle culture in South Africa’s premium Lifestyle – Jazz plays the soundtrack to true smooth refinement. It is with this recognition that The Glenlivet JazzTown will be the playground for pairing cultured conversation, 5star hospitality and live music at this year’s Vodacom Durban July. The Glenlivet JazzTown will offer a diverse and illustrious Jazz inspired marquee at the Vodacom Durban July - Africa’s biggest social occasion. The Legendary Hugh Masekela will headline this newly established event property alongside the prolific Afro-Soul vocalist LIRA, and the game changing new soul sound of TRESOR. Never before has Jazz taken center stage at the Vodacom Durban July. This year The Glenlivet JazzTown will bring urban rhythms to the event and offer a sophisticated space and engaging ambience for corporates and socialites to network over live music on a dedicated Jazz stage. 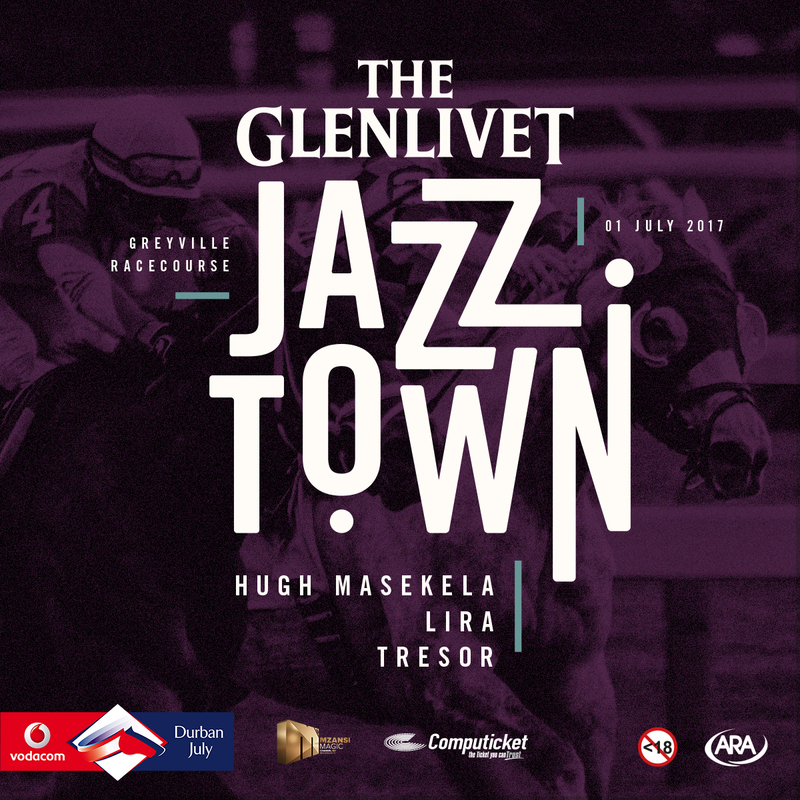 Experience the smoothest sounds, cosmopolitan fashion, and a distinguished lifestyle at the inaugural The Glenlivet JazzTown at the Vodacom Durban July on 01 July 2017. The following hospitality packages are available for purchase at Computicket. Ticket are available to the public for purchase from Computicket from 10:00am on Tuesday 23 May 2017!